One of the most common injuries your dentist sees is cracked teeth. These can occur when a patient sustains a blow to the face or has a bad fall. Hopefully, your child is wearing a mouthguard while participating. Players who don’t wear a mouthguard are 60 times more likely to damage their teeth in this way, so it’s key that you keep them protected. If your child expresses sharp oral pain that comes and goes after an injury, examine their tooth. Then, give them a cold compress to alleviate any swelling or pain until you get to the dentist. Give them ibuprofen as well to manage pain. Depending on the nature of the crack, your dentist may need to perform a root canal to remove bacteria or even an extraction if the damage is severe. The sooner your child receives a root canal, the less likely the tooth will die due to necrosis, which can lead to tooth loss. 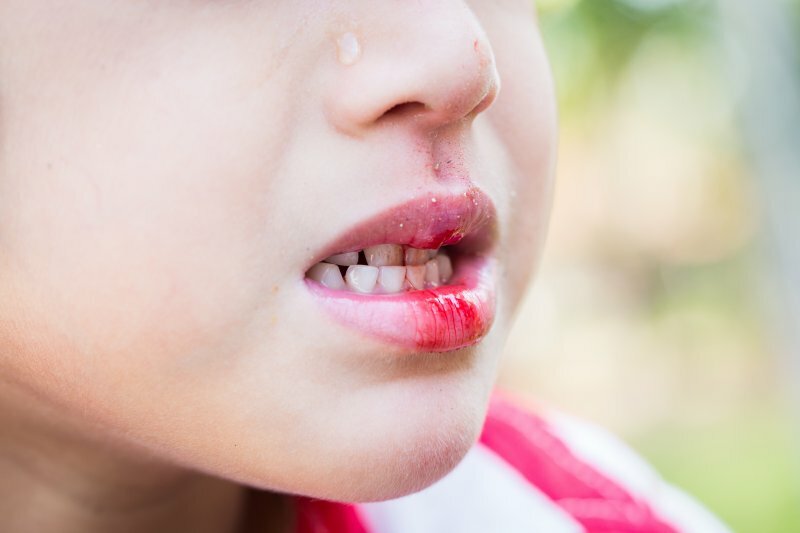 While this issue may be more pertinent to boxers, teeth can easily get knocked out, especially for younger players. This is because their primary teeth aren’t as well connected to surrounding bone tissue as permanent teeth. In the event your child’s tooth is completely knocked-out, follow these steps to preserve it until arriving at your dentist. Look for the tooth. Once found, pick it up by the crown only. Avoid touching the roots. Clean the crown, but make sure not to remove any tissue that’s still connected to the root. After cleaning, attempt to place the tooth back into the socket until you get to your dentist. If this isn’t possible, place the tooth in a container of milk, saline solution, saltwater, or saliva to keep it preserved for up to an hour. Don’t let sports injuries ruin your smile. If you’re experiencing an emergency, schedule a same-day appointment with your emergency dentist in Los Angeles today to get treatment! Dr. Les Latner earned his dental degree from Washington University’s St. Louis School of Dental Medicine. He’s also a lover of football and no stranger to the dental injuries that occur on the field. While attending UCLA, he managed the school’s football team and helped numerous players treat their oral injuries for many years. To learn more about his practice, contact him through his website. by: Les Latner at July 12, 2018 .